Agents that decondense or open chromatin structure, such as histone deacetylase inhibitors (21) or thymidine analogues (71), can cause cells to arrest growth with a senescent phenotype. 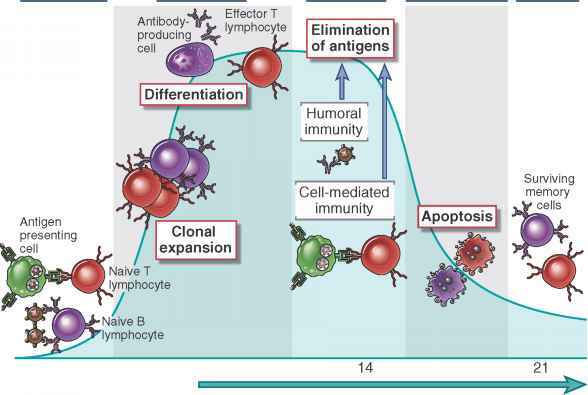 The senescence arrest generally occurs within a few cell cycles, and is irreversible even after the agents are withdrawn. Chromatin structure has long been thought to play a role in telomere-dependent and telomere-independent senescence (72,73). In the case of telomere-dependent senescence, the telomere is thought to condense the chromatin of neighboring genes, making them inaccessible to transcription factors. As telom-eres shorten, their effect on nearby chromatin is thought to weaken, thus allowing previously silenced genes to be expressed. This phenomenon, known as the telom-ere position effect, is well documented in yeast and was recently shown to occur in human cells (74). In the case of telomere-independent senescence, the need to open heterochromatin during each S phase, or when DNA damage is repaired, is thought to make heterochromatin intrinsically unstable. Thus, the probability of heterochromatic domains being lost or becoming partially decondensed very likely increases with each cell division or instance of DNA repair. Again, this would permit the expression of previously silenced genes. Some heterochromatic domains may be more unstable that others. In either case, the expression of silenced genes is presumed to lead to the senescent phenotype. The identity of these genes is not yet known. Heterochromatin also can suppress inappropriate recombination, and thus contribute to overall genomic stability. The best example of how heterochromatin, suppression of genomic instability, replicative senescence, and aging are interrelated is illustrated by the SIR proteins. SIR proteins mediate heterochromatin formation at silenced mating-type and other loci in the yeast Saccharomyces cere-visiae (75). The replicative life span of this single-celled organism is limited in large measure by the accumulation of extrachromosomal circles of rDNA (76). These circles are an indication of genomic instability, as they are produced by inappropriate recombination within the highly repetitive rDNA locus. Loss of SIR3/4 or SIR2 function shortens the life span of yeast, whereas overexpression of SIR2 extends yeast life span and suppresses the formation of extrachromosomal rDNA circles (77). Thus, heterochromatinization by SIR2 suppresses ge-nomic instability (presumably by limiting the access of recombination proteins) and promotes the longevity of yeast cells. SIR2 is a NAD-dependent histone deacetylase (78), which raises the possibility that it modulates chromatin structure in response to the energy status of cells (79,80). Recently, overexpression of the Caenorhabditis elegans SIR2 ortholog was shown to extend the life span of this multicellular nematode (81). Although is not yet clear whether C. elegans SIR2 mediates heterochromatin formation or suppresses genomic instability in nematodes, it is intriguing that SIR2 positively influences the life span of two evolu-tionarily distant organisms. Even more intriguing, mammalian SIR2 orthologs recently have been shown to deacetylate the p53 protein (82,83), an important tumor suppressor whose activity is essential for the senescence response of mammalian cells (11,84-87). Acetylation of p53 activates its activity as a transcription factor, and thus deacetylation by SIR2 suppresses p53 activity (82,83). It is not yet known whether overexpression of mammalian SIR2 has an effect on life span, but SIR2-overexpressing mammals might be cancer prone owing to reduced p53 activity.